Another day... Another dead body. Detective Adam Campbell is searching for a serial killer when he stumbles across a crooked cop, an intriguing woman, and a vengeful ghost. 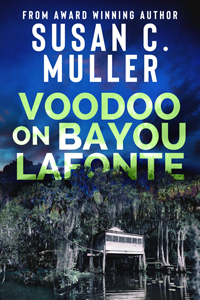 Can he live long enough to bring down the cop, win over the woman, and destroy the ghost? A powerful psychic is brutally murdered. Secrets are revealed. An old enemy is out for revenge. 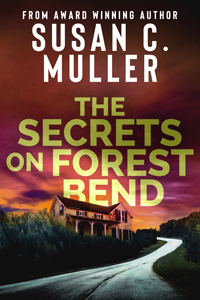 Detective Ruben Marquez is thrust back into his childhood memories when he investigates a gruesome murder that occurs only feet from his mother’s home. Is the killer somehow connected to his own past? Is the beautiful, mysterious daughter of the victim, someone he can trust? Or is her revelation that she’s a witch a sign he should stay clear. But how can he, when it appears she’s next on the murderer’s to-do list. In the ultimate test of courage, he uses himself as bait to protect all he holds dear . 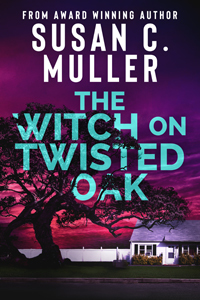 . . his career, his family, and the Witch on Twisted Oak. "It's not often I run across a book as explosive and entertaining as this novel. This is a not-to-be-missed novel."